Every sheep at Shepherds Craft Farm produces a beautiful fleece. I am a spinner and knitter and love fiber. I only keep and shear sheep who produce wool I love to work with. Shearing is done by hand slowly to minimized second cuts. Every Fleece will be thoroughly skirted to remove wool not of top quality. If you have never worked with a Gotland fleece then it's time you gave yourself a real treat. It is considered one of the very best for spinning and weaving. Gotland wool is silky, lustrous and beautiful. They have an enchanting sheen and shimmer to them. They spin beautifully and are great for felting, needle or wet. I love spinning with Gotland, I find the variations in tones even within one fleece makes a magical yarn. Lambs are shorn over the summer as they are ready. Each lamb is shorn by hand with old fashioned blade shears. I find that this give me the very best clip and fewest second cuts when shearing. I have a selection of stunning lamb fleeces available. Email me with what you are looking for and I'll do my best to fulfill your fiber dreams. Adult Ewes and Rams are shorn in the fall and spring. The fall fleeces are the most glorious. These are excpetionally clean since the sheep have been on pasture all summer and fed no hay. The summer rains washes the fleeces and keep them in perfect soft condition. Spring fleeces tend to be a bit softer but they do have some vegetable material since the sheep are fed hay. Wensleydale and Teeswater Cross fleeces and Locks available soon. They are also shorn both fall and spring. The Teeswater Lamb fleeces are stunningly gorgeous. 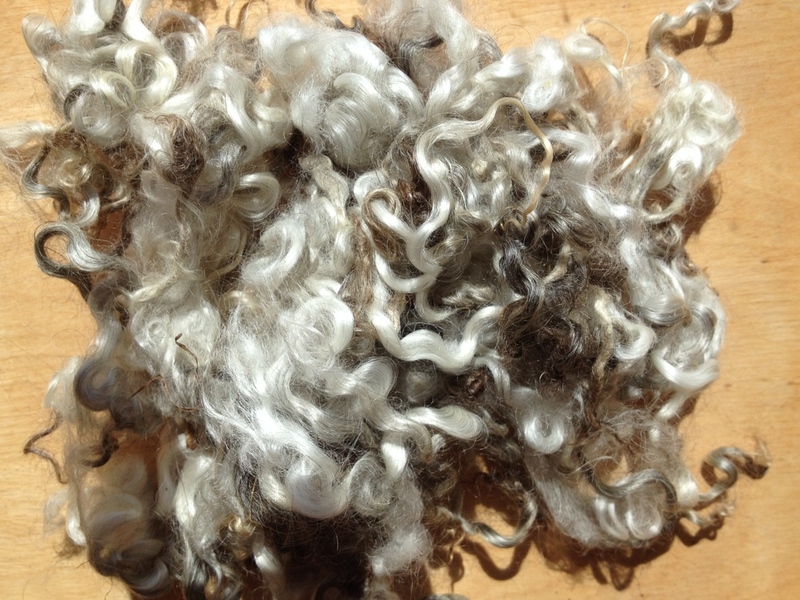 Both washed and unwashed whole fleeces are available. I also keep a waiting list. Let me know what you are looking for and I will keep you in mind when I shear. Email me to find out what's available, or will be soon, or check out my Etsy Store to buy what's currently in stock and ready to ship.